Did Lone Gunmen Fake Own Deaths in X-Files Season 9? Trio set to return in X-Files Revival this January. When Entertainment Weekly announced this afternoon that The Lone Gunmen would be returning in the Fox network’s 9-episode X-Files Revival this January, the news was received with a mixture of excitement and confusion. Of course it will be great to see that zany trio in action once again, but—aren’t they dead? The Lone Gunmen are a crew of hackers and extreme conspiracy theorists that appeared in all 9 seasons of The X-Files, as well as their own short-lived spin-off. They are: Bohemian rocker Richard “Ringo” Langly (played by Dean Haglund), clean-cut John Fitzgerald Byers (played by Bruce Harwood), and sleazy Melvin Frohike (played by Tom Braidwood). They publish a Government Watchdog magazine called The Lone Gunmen (formerly The Magic Bullet). The Lone Gunman, while only supporting characters in The X-Files universe, were considered fan favorites, injecting much needed comic relief when the series got too serious. 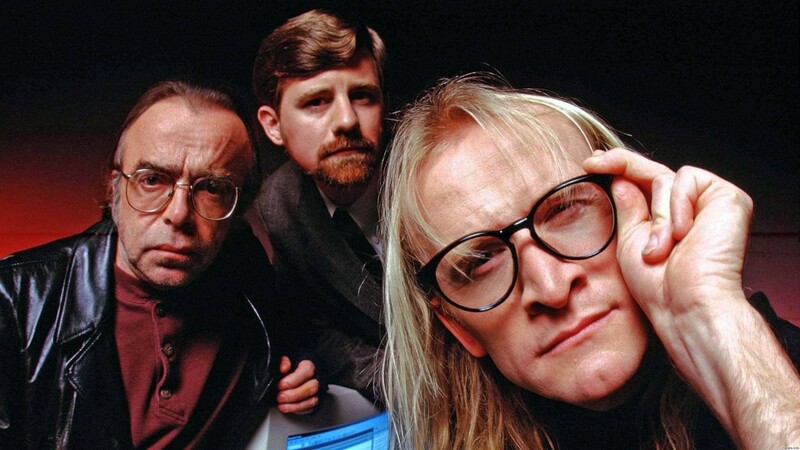 When they were given their own spin-off (titled The Lone Gunmen) in 2001, however, ratings were abysmal (in spite of positive fan and critical reviews); this resulted in the series being unceremoniously cancelled after 13 episodes—on a cliffhanger no less! 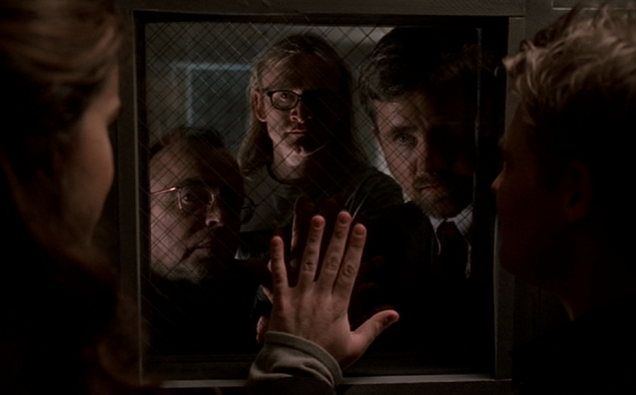 Fox was so disappointed by the poor ratings of The Lone Gunmen that the characters became persona non grata, with studio executives forbidding the trio from appearing in The X-Files Season 9 (the final season) in any capacity. Executive producer and co-writer Frank Spotnitz, however, lobbied hard for their return, arguing that fans and the characters deserved an episode that gives The Lone Gunmen resolution. In a move that satisfied Spotnitz’s request while ensuring The Lone Gunmen would never be a thorn in Fox’s side again, the trio was allowed to return to The X-Files—in order to die. 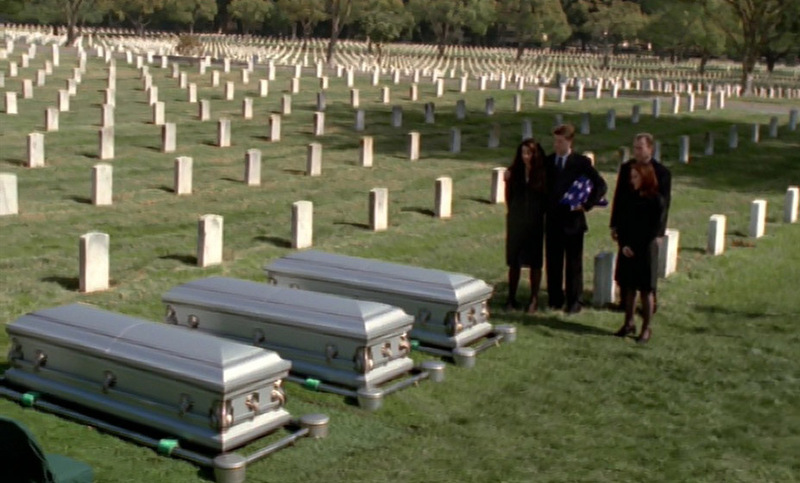 In the episode Jump the Shark (which originally aired on April 12, 2002) The Lone Gunmen save the world from a lethal biological weapon by laying down their own lives—an act that grants them hero status and burials in Arlington National Cemetery. While bringing dead characters back to life is often considered a cheap trick relegated to soap operas and b-horror movies, The Lone Gunmen would not be the first characters from The X-Files to be granted resurrections. The Smoking Man died—twice! Double-agent/mercenary Alex Kryzek was presumed dead more times than I can remember. Even Mulder recovered from his apparent suicide at the end of Season 4. X-Philes who took their love to the story beyond the movies and the TV series will most likely be amenable to the return of The Lone Gunmen, as this is something they’ve already experienced. 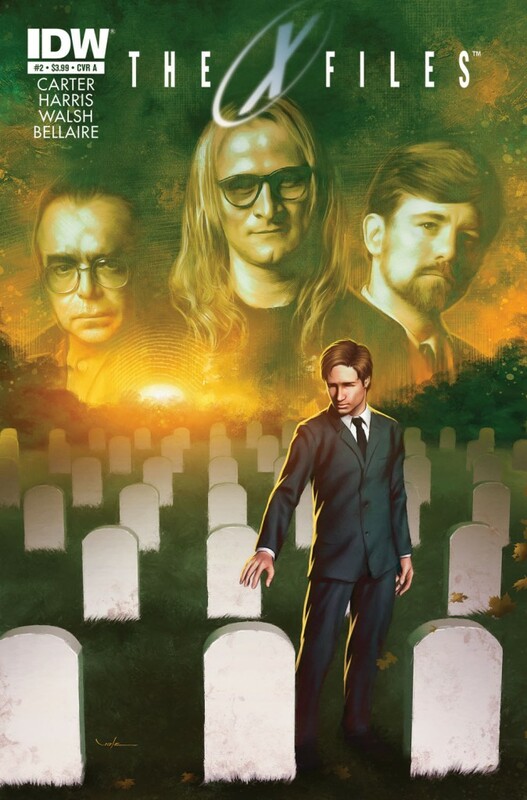 In a comic book epilog called The X-Files Season 10 (which takes place after the events of the film Fight the Future) The Lone Gunmen are shown to be alive and well, having faked their deaths in Jump the Shark. There, it’s revealed that the trio was rescued from certain death by the FBI and, in a bizarre twist, are now working for the US Government (what? ); Langly mentions that he was responsible for the Stuxnet virus, an actual computer worm that ravaged systems worldwide in June 2010. Do you feel like The Lone Gunmen got a raw deal back in 2002? Are you excited to see them returning in The X-Files Revival, or would you prefer they stay dead? Sound off in the Comments section! 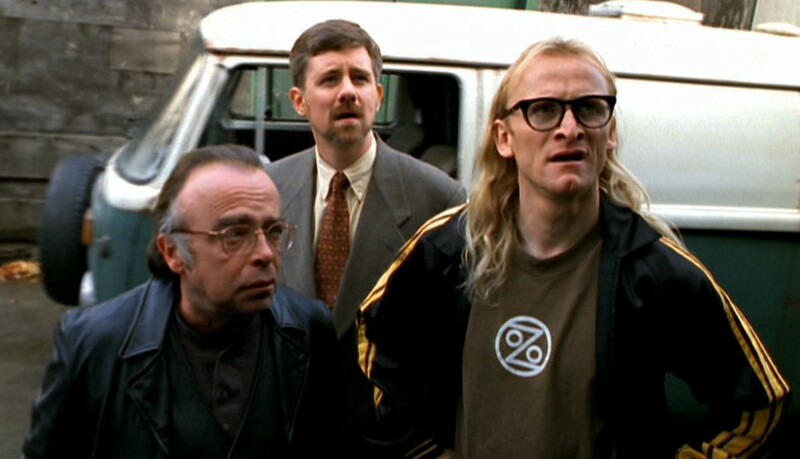 I loved the Lone Gunmen on X-Files and on the their spinoff. Thing is.. they can’t come back because Mulder saw them in the final episode as “starlight beings”.. or something.. We’ll need a dodgy explanation why the starlight crap is bull*%$ before we could shoe horn them back into the series and if that happens it renders Samantha’s resolution pointless. They can’t win here.